If the category “movies with strong female leads” is regularly among your Netflix recommendations, you will probably like Schmieds Puls. 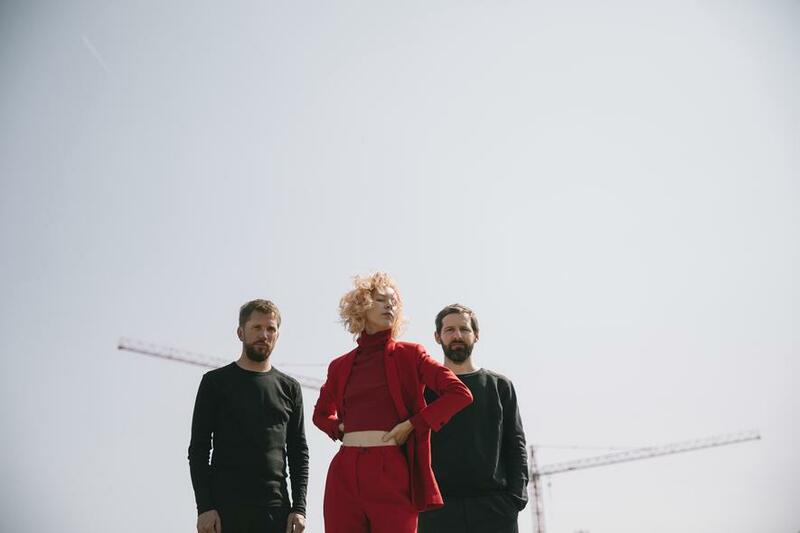 Singer, songwriter and guitarist Mira Lu Kovacs is at the center of the band that was founded in 2013 and if asked, she will gladly give any publication her opinion on the current state of gender equality (it’s bad). Together with jazz musicians Christian Grobauer and Walter Singer she plays alternative pop with some jazzy and folky vibes. From the beginning, Schmieds Puls was known for their minimal sound with no almost electronic production; instead it focused on the clarity of Miras voice and elaborate guitar tunes. Between then and now lies not only an Amadeus Austrian Music Award (2016), but also a spectacular experience outside of her main project with Supergroup 5kHD and prestigious bookings as a well-liked performer, most recently at the opening of the Wiener Festwochen (Vienna Festival) in May. With the two albums Play Dead and I Care A Little Less About Everything Now, Mira Lu Kovacs has established herself as a master of her craft. The new album “Manic Acid Love” is scheduled to come out September 7th. It will be the band’s loudest offering thus far. “Part of me wants people to be afraid of me”, says Mira Lu Kovacs about acquiring a new, emancipated self-conception of her creative work. With every hardship and disappointment, it loads up more; the gleaming anger and exasperation initially unloads between the lines, to eventually culminate in rants meriting an “explicit lyrics” label.